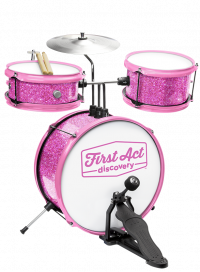 Get the beat with this rockin' drum set! 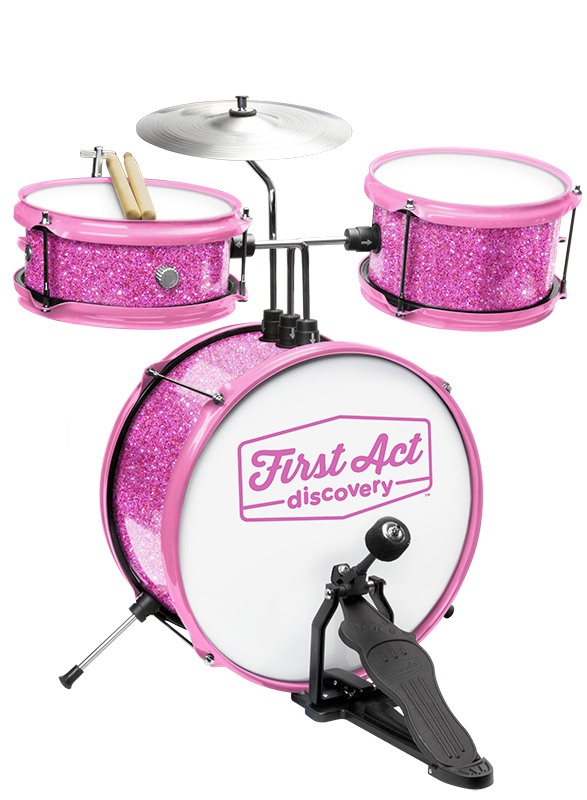 Young drummers can learn to play on authentic drums with great tone, sized just for them. Our Color & Shape Learning Guide is written by a professional music educator, so you can get started playing right away. It's a snap to put together, so you're ready to rock in minutes! Snare, Tom, Cymbal and Bass Drum with California foot pedal. patented push mounts make it a snap to put together!